Very happy with the sales, service and installation from Hienz Solar, very pleasant company to deal with. Heinz and his team have done a great job. The process was made very easy and backed with prompt and professional service. 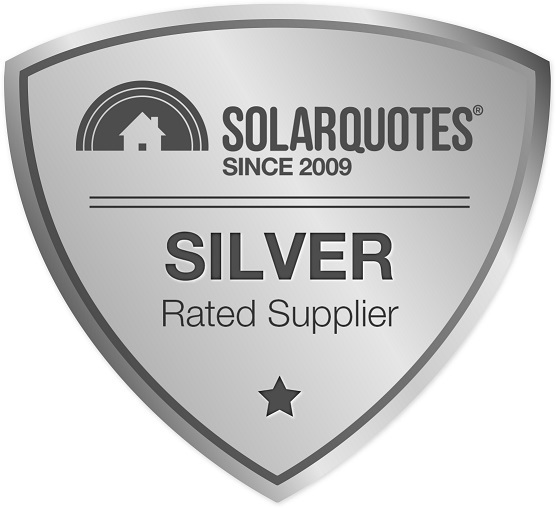 The Solar quote website has provided me with all the info to confidently choose the best quote/system from the 3 suppliers suggested. Heinz Solar was chosen as the best option regarding price/quality/advise and response to questions and concerns. The system is at this stage performing above expectation with the help of the added Fronius smart meter. Self consumption at this stage is around 70%. Finn thanks for your excellent website and keep going. I still haven't the system turned on yet....finished 28th March. Took some time to get OK from Essential Energy, six weeks from acceptance of quote to installation. 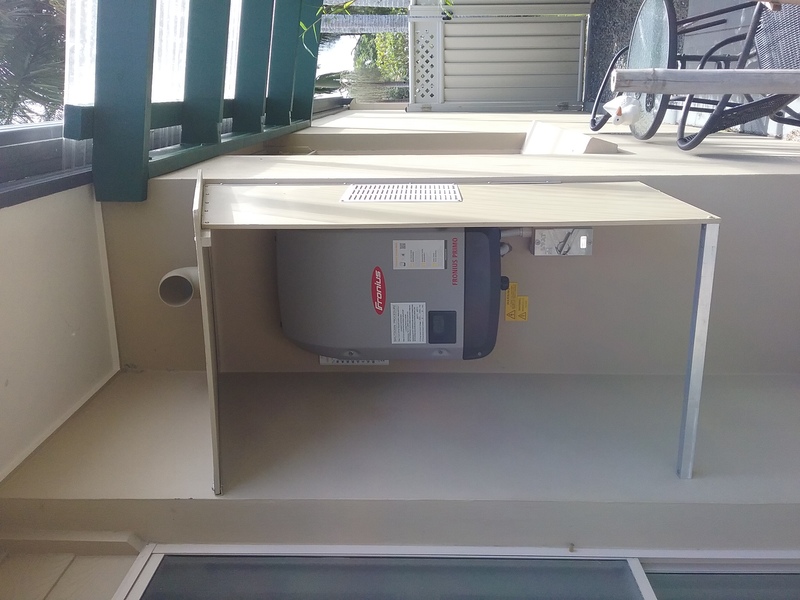 Installation was very fast & efficient, the workmen were excellent at their job, no delays, having previously had solar this was something of a revelation at the speed & workmanship. We were very happy with the two quotations received. They were quite competitive and included data and information we needed to help make a decision. Both people were also very prompt in supplying answers to our questions clarifying aspects we were not sure about. We have paid our deposit and now await the necessary approvals prior to installation. There has been delays for Steve due to holidays, Essential Energy's ongoing portal problems, recent storms, and freight company loosing the order. We are truly sorry but it was out of our hand. Thanks for the information from your site. Very helpful. I am a (retired) Technician, so possibly more picky than other PV consumers. I chose a superceeded Inverter (really cheap, but a reliable brand, Fronius). The Panels are Jinko, that I consider a better low cost option than buying Rolls Royce quality panels. Installed on Grace Racks. The main issues I picked up the installer on was that they did not protect the Earth wire correctly through the roof penetration (repaired), & I was extremely unhappy about the clamping of the interconnect conduit between the rows of panels on the roof: I would expect the conduit to be clamped to the racking using approved fixing methods. Initially the conduit was free floating (a fault if it was inspected). This was repaired by using metal cable ties to clip the conduit to the panels & racking. I am still not 100% happy, but it is satisfactory & safe. I recommend that customers get a safety inspection by a 3rd party after installation because most consumers would not be aware of these safety issues. One comment on my system: it is 13.5Kw of panels, 10Kw West facing, & 3.5Kw East facing. It is limited to 5Kw grid feed, but is averaging 40kWh/day in the middle of winter. This is returning better than bank (home loan) interest on my grid feed, with currently no self-consumption as building is under construction. When the building is finished, the Hot water will be heated by re-directed grid feed power (about 10KwH/day for 3 person use), & grid feed will be for excess over house immediate use. This PV system investment should repay in 4-5 years! Thank you Doug for your feedback. Doug is very well researched and we spend a great deal of time with him making sure he is happy with everything. We gave him and extremely competitive price for Tier one panels and Austrian inverter. He spent a great deal of time overseeing all steps of the process which was slowing things down. The 3 phase power supply was Doug's responsibility and we waited patiently for things being sorted out over a couple of weeks. Doug spoke with Fronius head tech guy a few times, Doug the installer and myself had meters of email exchange. I gave Doug information well beyond anything neccesary under CEC guidelines. Doug did not pay in full as agreed upon in our contract but in increments. Hienz and his team were great. They explained options, rebates, how the system would be installed, and the pricing. Thank you Clive for your review prompt payment and ease of business. Heinz was extremely helpful, never difficult to question and he explained things for us brilliantly. 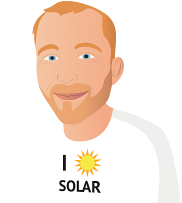 Wouldn't hesitate to recommend him to anyone looking to add solar panels to their home or commercial building. A very professional job. The supplier attended my premises to assess the job and provide a quotation. All details were attended to by him. (Supply authority connections , new meter and STC's etc. The installation was completed in 2 weeks after I gave the go ahead. Heinz didn't measure the roof size for the system we selected. 2 panels poke up above the roof line, one panel could not fit on. Roof was measured 3 weeks prior to install on roof by Jack Traynor the installer for customers. Customer asked for panels to be moved on day of install which changed the layout. A quality service from the first phone call right through to installation. Every question was answered in easy-to-understand detail, undertakings were met within the agreed timeframes, and the general customer attitude was outstanding. The system isn't turned on yet so I hope it will work and there are no problems. Because of the degree of pitch of our roof the installers broke 2 roofing tiles when they slid off the roof. Fortunately we had 2 spare tiles and thankfully no more were broken in the installation! We understood that this was not due to a fault of the installers. We were very impressed with the fellow, Jack, who was in charge of the installation. 1. Quote was very prompt - Heinz answered the email request on the same day the message was sent. Heinz personally came to see us the next day to judge what we needed and spent time answering all our questions. Quote then arrived 24 hours later. 2. Neither of the remaining two companies responded to the request for a quote despite a followup request. We therefore accepted Heinz' quote.